10 Things You Should NOT Be Frugal On! You are here: Home / Finance / 10 Things You Should NOT Be Frugal On! 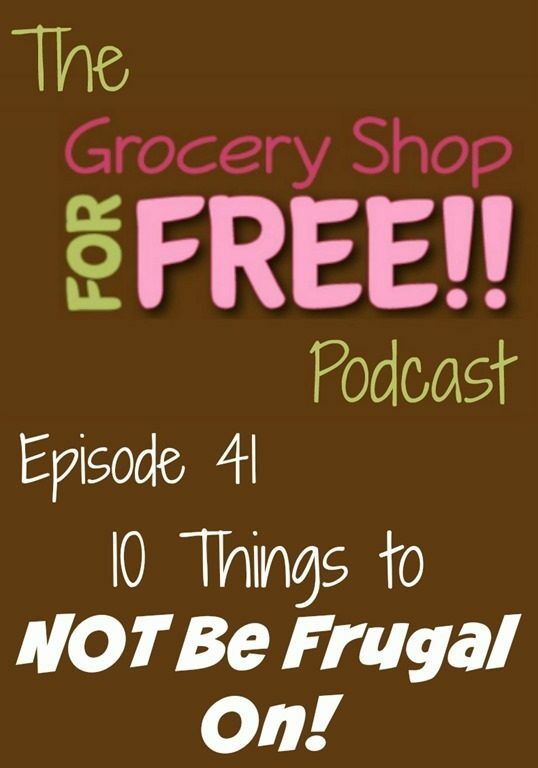 This week’s Grocery Shop for FREE podcast is up! 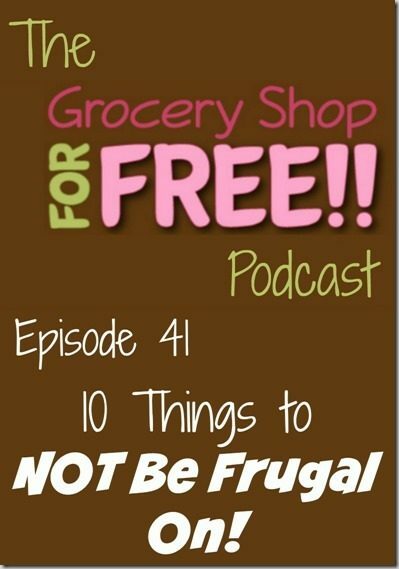 This week we are looking at things you shouldn’t be frugal on. Remember to subscribe to us on iTunes or Stitcher and leave us a review. Thanks! 3. Shoes – When you aren’t in bed, you are on your feet. Make them comfortable. 5. Birth Control – Kids are awesome but expensive. If you don’t want one just yet, be sure to the higher quality prophylactics. 6. Tires – Good tires make all the difference when having to stop quickly or have traction on wet roads. Be sure your car always has its tires in good shape. 7. Dental/Medical Insurance – Make sure you have the right coverage for your family. 9. Food – Being frugal doesn’t mean just getting the most food for as little as possible, but getting the best food for you and your family as cheaply as possible. 10. Pet Food – The cheapest pet food is rarely the healthiest. Do your research and take care of your pets.